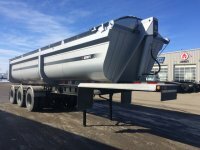 Maxim Truck & Trailer offers a comprehensive line of new and quality used trailers from the industry's most respected brands including Great Dane Trailers, Arne’s Trailers, Timpte Trailers, and East Trailers. You can browse our inventory in person or online – no matter where our equipment is physically located, we can make arrangements for delivery to the location of your choice. 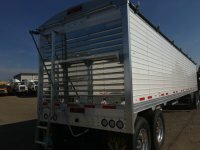 We stock trailers for every application. 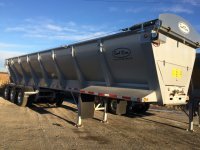 We have a huge inventory of Timpte grain trailers, Arne’s gravel dumps and low beds, dry vans, reefer vans, and deck trailers from Great Dane, Dumps and deck vans from East, and pre-owned storage vans from multiple brands. We pay attention to demand from our customers and stock our inventory accordingly. Our Account Managers are always listening to our clients, and we try to stay ahead of the curve by anticipating their needs. 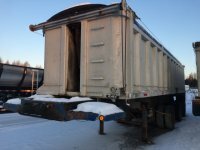 We even have trailers ideal for use insulated or non-insulated storage units. They are versatile and a great alternative to renting storage space, giving you the option to keep things secure and on-location without having to build facilities. 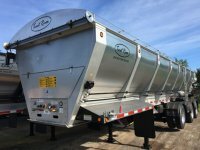 Contact an Account Manager today to see what storage trailers are available now. Sometimes a stock option will not cut it for your specific needs. 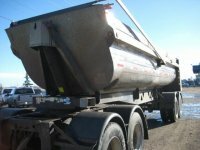 That’s why we offer specialty trailers, and can custom-build a trailer for you. 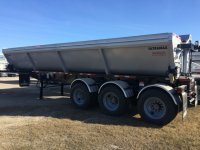 If we don’t have what you’re looking for in stock, please talk to one of our trailer experts, and we can help you custom-design a trailer to your exact specifications, within your budget. We want you to be satisfied with any custom design project. We do thorough research and will make realistic recommendations for your business.